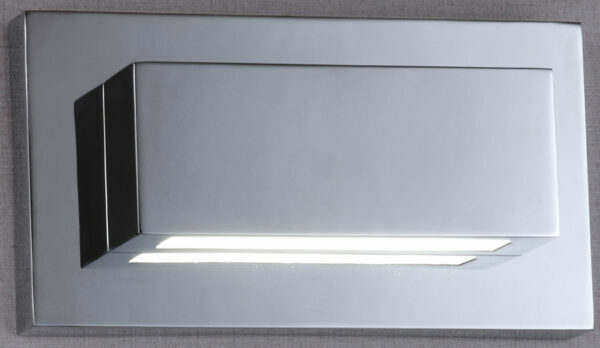 From our range of modern indoor LED wall lights. A 200m wide polished chrome wall mount holding a secondary square edged U shaped shade with bottom and top polycarbonate shades. A thoroughly modern minimalistic wall light holding two 5w LED money saving lamps making it an ideal choice for the thrifty household.